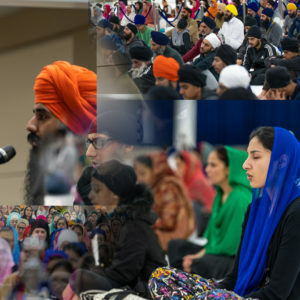 At Guru Maneyo Granth Gurdwara we have a busy calendar of events that run throughout the year, including a monthly Akhand Paath Sahib (continuous reading of Sri Guru Granth Sahib Ji). 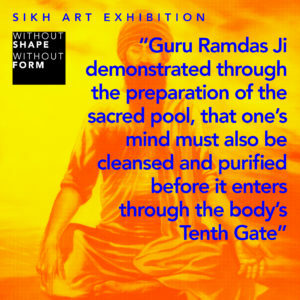 The monthly opening of our Sikh Art Gallery, Without Shape Without Form. Diwaans and kirtan darbars to celebrate Gurpurbs. Simran Camps for all ages that are held in August and December each year. 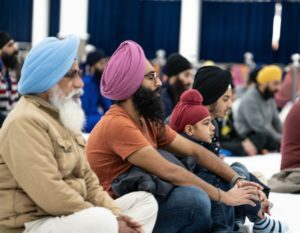 Additionally, we have special themed events such as Discover Vaisakhi which was held in April 2018, where members from various faith groups visited Guru Maneyo Granth Gurdwara to learn about the significance of Vaisakhi and to join in with celebrations. Details of upcoming events can be found below. We encourage you to visit us to find out more and participate. All are openly welcomed.